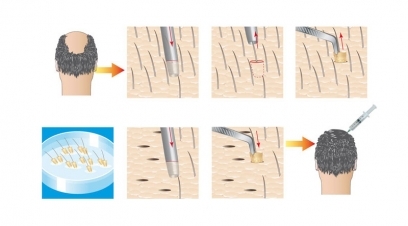 Bio FUE is a basic method that augments the traditional follicular unit extraction. While the FUE is executed in a normal manner, which includes extraction of hair follicles or grafts and then planted into the affected area of the recipient? The new BIO FUE works in different way. In new Bio FUE, along with the grafts, special growth serum is also injected in to the scalp, which strengthens the follicles, but also makes them appear healthier and stronger. The Bio therapy is based on the concept of human cell germination that have the ability to regenerate themselves, especially when they are in their embroyonic stage They have been fruitful in ensuring healthy and stronger hair growth and resolves patient’s problem. At Panacea Global Hair Services, Bio FUE treatment has been offered to several customers and has proved highly effective, helping many individuals in getting back their hairs.